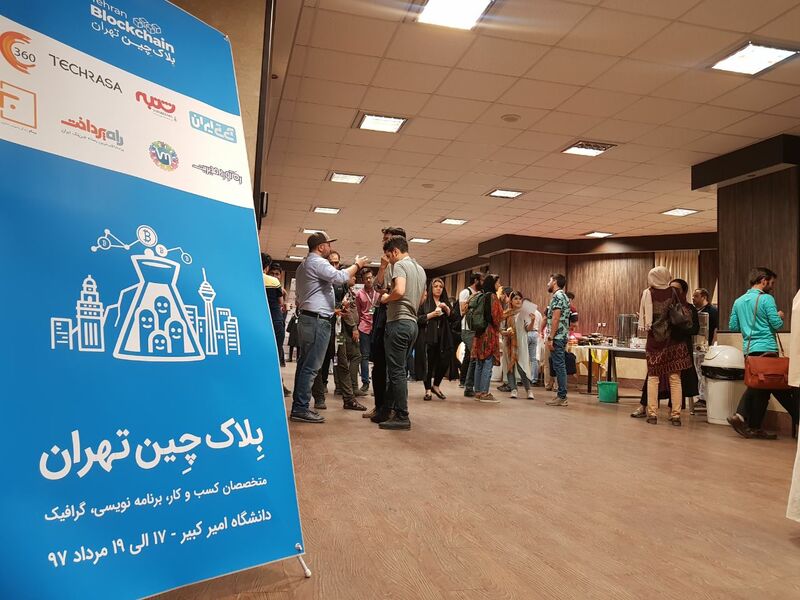 The opening ceremony of Tehran Startup Week event was held with diverse speeches and roundtables from the government, investors, entrepreneurship empowerment and innovative people on August 3, 2018, at Amir Kabir University. 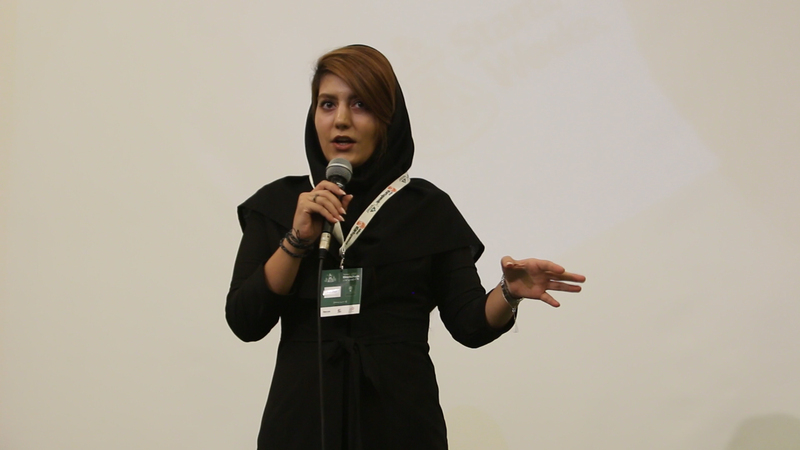 The first part of the event included speeches by the active members of Iran startup ecosystems. After the speeches, there were also 3 panels and one workshop in parallel. The “Understanding of Investment” workshop, taught by Meysam Zargarpour, CEO of Sinatech Investment Company, lasted more than 3 hours. The panel of Tabriz, Mashhad, and Isfahan Eco-Systems with the presence of Tabriz.io’s Technology Director Saeed Choobani, Mohammad Kermani, Managing Director of “Abi-Sefid” Coworking Space, Mohammadreza Hashemi, Community Builder in Mashhad hosted by Alireza Khodaie was also held. Then, the participants took part in the networking session, followed by the panel of “Iran’s Value-creating Ecosystem Under One Roof”, with the presence of Nasser Ghanemzadeh, Founding Partner at Opatan Capital, Ramin Khalilian, founder of Ava Angel, Ata Khaliqi, Co-founder of Persianblog, Nima Behravan, DMOND Accelerator and Mohammadreza Azali, Co-founder of TechRasa. On the end of the first day, a panel about the failed startups was held with the presence of Sadjad Fallah, Co-founder and CTO of Drupz, Naghme Mostafavi, Managing Director of Fan Fear and Amir Hossein Hosseini-Pajooh, Founder of Mibarim. 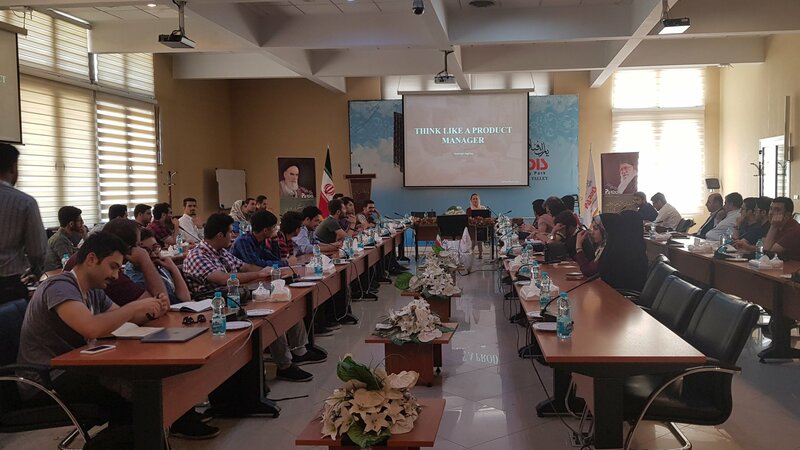 On day two, which was held at Pardis Technology Park, a workshop about “How to think like a Product Manager” was held, which was taught by Ms. Yasmin Yaghini, a marketing specialist. Several games were performed and participants analyzed their performance and instructor’s workshop tips to find interesting results about the impact of personnel management. Ms. Yaghini spoke about the responsibilities of a product manager in companies and startups. Also, the concept of “Transparency” is explained in the startups. After the first workshop, Mr. Hezaveh, Manager at Innovation Acceleration Center, provided participants with explanations along with the introduction of various sections of the park. 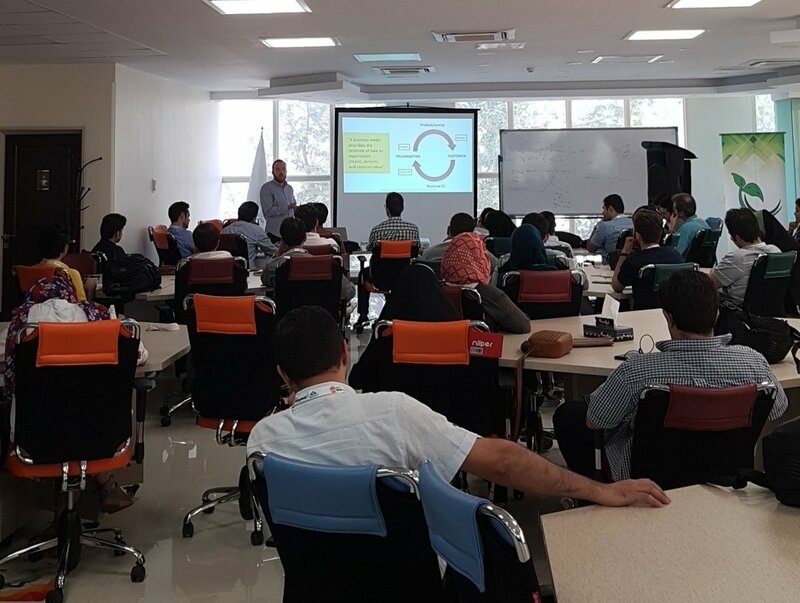 A visit was also made from Shazan Accelerator and subsequently, the second workshop was taught by Mr. Asgari which was titled “Traditional, New and Branding Paradigms in Development Startup Market”. In this workshop, the differences between marketing and brand concepts and each other’s duties were addressed. In the end, Andrei Cosmin Munteanu, the teacher of “The Art of Pitching” workshop, taught others how to introduce and present their own startups. Tips were presented about a good presentation and the participants had group activities. The third day started with Mr. Reza Ghiabi’s workshop, he talked about the characteristics of a leader in the business environment. Subsequently, in the workshop of Mr. Fardad Zand, Founder of Amin Consultants, participants learned how they can change their business platform. There were also discussions about the network effect. After lunch, the third workshop was held with Dr. Nima Moeinpour, a strategic marketing planner for the Drug Advertising Agency, which focused on the user’s impact on innovation and a number of research methods. In the end, Andrei Cosmin Munteanu explained how to create and fill a business canvas. 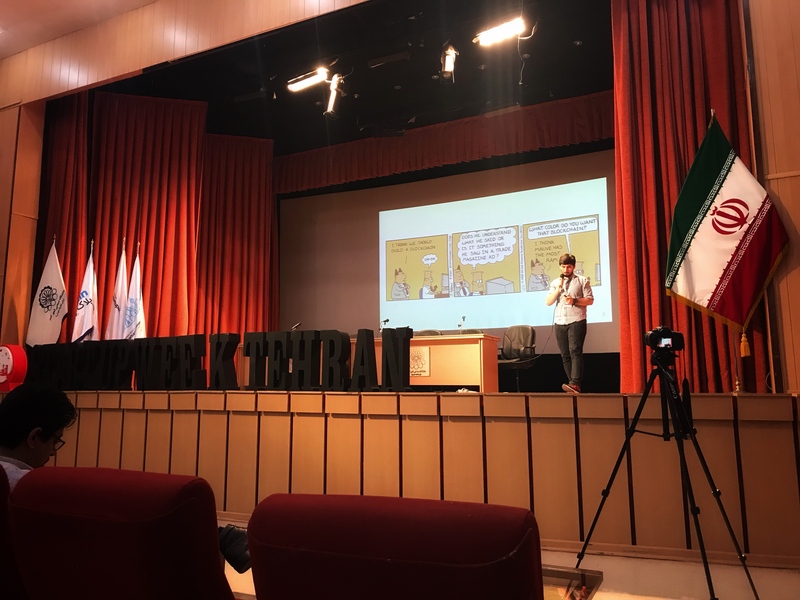 The first speaker of the Blockchain day, Mr. Davoudi, a senior software architect’s adviser, talked about “How to explain Blockchain to our grandmothers” and tried to teach its concept in plain language. In the next part of the program, Mr. Ghazi, CEO of Dunab Communications, and Mr. Davoudi tried to convey the concepts better by engaging the contestants. After lunch, the program continued in parallel, in one side with the subject of “Business in Depth”, which Mr. Yashar Reshedi, an architect and software developer in the field of Blockchain, talked about ICOs. Initially, a history of Blockchain and Ethereum was mentioned, and there were some interesting points that could be solved by Bitcoin. The speaker of the next salon was Mr. Ghazi, who introduced “Stellar”. In this program, they introduced the basic concepts of the Stellar network, its features, and structure, and explained the application, as well as its components and infrastructure. “One of the most important benefits of this decentralized exchange network is its ability to help the economy of a country, notwithstanding the current situation, to not be in need of others”, he said. Another subject of the Blockchain was “Technical in Depth”, at first, Mr. Yasser Moradi, a software architect, and Mr. Davoudi Talked about the technical dimension of Blockacin, and the principles that should be followed, as well as the rules that must be written. 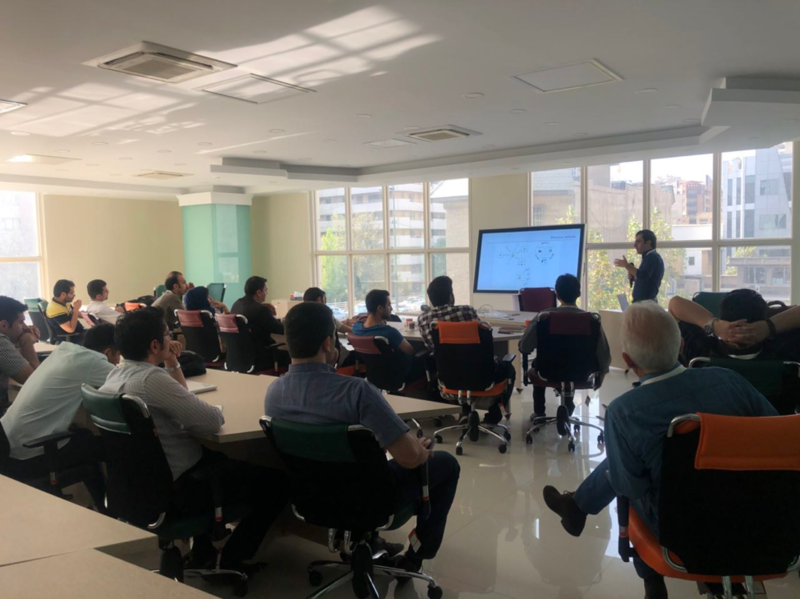 Also, Mr. Afshin Alizadeh, technical director of the software teams, talked about Blockacin in the cloud and the services and facilities that can be provided to us. 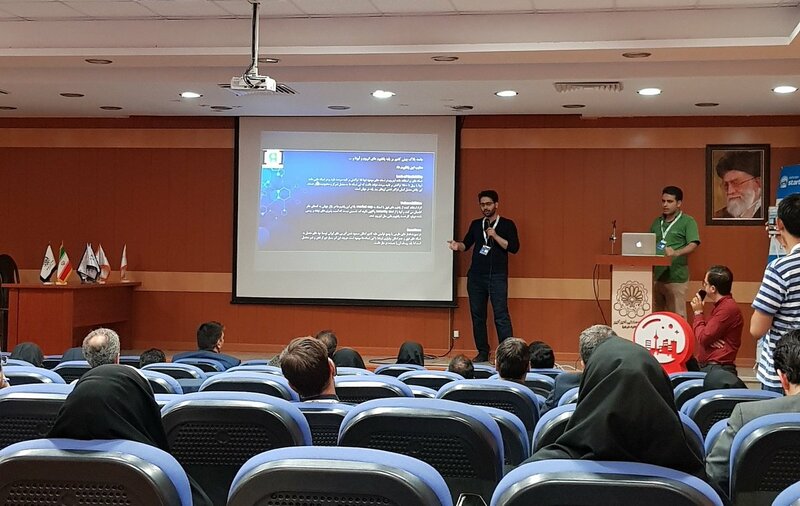 In the final program, Mr. Mohammad Javad Khalilian, software developer, and Mr. Hossein Babaei, web developer, talked about Decentralized Application. First, they introduced the features of these applications and explained the infrastructure and solutions available, and briefly described each of these strategies. Finally, they explained a practical project that came with questions and answers. On the opening day of the event, challenges were posed by Razi insurance company and SADAD Informatics Corps, and the participants that had a solution or idea could offer it on the last day. With a limited time, 10 presentations were made and participants put forward their ideas and were directly questioned by corporate representatives. In the end, representatives shared their views on presentations and directing providers, asked for more consideration in the challenges. In just 54 hours, you will experience the highs, lows, fun, and pressure that makeup life at a startup. As you learn how to create a real company, you’ll meet the very best mentors, investors, co-founders, and sponsors who are ready to help you get started. 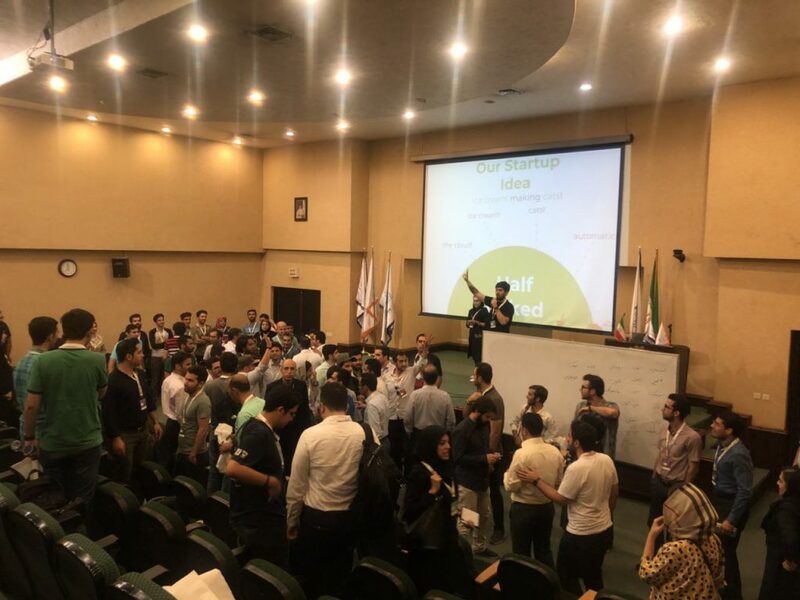 The Startup Weekend Tehran: Blockchain Edition was held on August 8-10, 2018 at Amir Kabir University. On the first day, 30 participants presented their ideas in 1 minute on stage. The ideas were then written on separate cards. Then the participants showed their interest in ideas by sticking small stickers on cards. In the end, according to the general vote, 10 top teams were selected and these teams found the opportunity to participate and team building in the last days of the event. There were three judges for the final pitch competition, Mr. Fardad Zand, Co-founder & CEO at Amin Advisor, Mr. Majid Zamani, Founder and CEO, KIAN Capital and Mr. Masoud Kharaghani, CEO Advisor & Executive Vice at Sanaye Yaas Arghavani. More then ten mentors, including Reza Ghiabi, Opportunity Maker – Director OPPMAKR Institute, Mehran Davoudi, Independent Software Professional, Mahyar Khattak, Partner at Iratel Ventures, Mohammad Ramin Komeilian, Angel Investor, Ramin Khatibi, Product Design Director, Kaveh Yazdifard, Data-driven Strategist, Mehran Rahimi, Instructor at CSUS, Tina Tavizi, Information Security Consultant, Yashar Rashedi, Senior Software Developer, Behzad Sadeghi, Independent Computer Software Professional and Mohammad Dadvaran, IT consulting and trade developer, help startups to work on their idea and develop it during two complete days. At the end, BlockHome, Online Real Estate Platform based on Blockchain technology, and Smart Eco, Advertisement platform based on Blockchain technology , startups managed to get the joint third place, Sayan, accounting software based on Blockhain technology, startup got the second place and Noskhino, removes doctor prescription and make it online using blockchain technology, won the first place. با تک پین شما می توانید هر روز در میان بهترین و جدیدترین استارتاپ ها و محصولات جستجو کنید و راه حل مورد نیاز خود را پیدا نمایید. 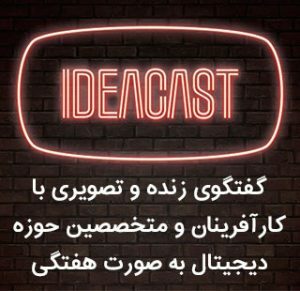 جایی برای دوست داران محصول برای به اشتراک گذاری و یافتن آخرین برنامه های موبایل، وب سایت ها، پروژه های نرم افزاری و تکنولوژی های خلق شده در ایران، در هر صنعتی.